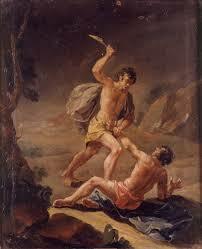 These are the Generations of Cain and Abel. There are several times when the Torah describes the generations of, sometimes translated as the chronicles of, various Biblical figures, and they can be divided into two distinct types, the ones that have chronicled lifespans and those that are just lists of descendants. The first set begins with Adam and the 130 year period that he was estranged from Eve, before their reconciliation and the birth of Seth. This was the period Cain and Abel and their 3 sisters were born. In it the growth of the human race was to have followed the primordial mathematical constant phi and the universal Fibonacci sequence (1,1,2,3,5,8,…) that natural follows be it the petals on our flowers or the branching of stars in the Milky Way. It began with Adam(1), Eve(1), Cain and his sister(2), Abel and his sisters (3), for 5 siblings in total, but Cain became jealous of Abel having 2 sisters and he killed him, putting an end to a perfect plan. When in Genesis 4:10, G-d said that the voice of Abel’s blood was calling to him from the ground, He cursed Cain from the ground, but then added 7 levels of protection. Why didn’t G-d stop there are try again? Why give Cain and his descendants time to spread their evil inclination throughout the human race.? The Torah next lists the generations of Cain and the sisters, but oddly, this appears to be an alternate universe, one that was juxtaposed and yet parallel to the universe delineated in the Torah’s very next chapter, Genesis Chapter 5, with the Book of the Chronicles of Adam. Many of the two desperate universes have the same or very similar names with only a single letter’s difference between them, and some of the names are listed in a different order, with the son in one begetting the name of the father in the other, as if they were spiritually intertwined. Nevertheless, the generations of Adam that began with Seth all have their lifespans and the ages in which they begot the next generation clearly delineated. There were no time-frames in Cain’s generations. In this way we were given the 10 generations from Adam to Noach, corresponding to the 10 sefirot (dimensions) of the Tree of Life. The description of Cain’s generations stopped at 8, as in the 8 Kings that we’ll hear about during the recitation of the generations of Esau, which the kabbalists relate to the 8 levels of fallen sparks derived from the chaotic universe of Tohu that predated the formation of our Tree-of-life one. This verse is directly telling us that Man’s days are numbered and that there will come a set time when our period of judgement and physicality will end and that all will return to the spiritual state. And implanted within that section, which the Torah calls The Book of Adam is the date for that confluence of time, space and motion. There must be truth in that number because the 441 in 14441 is the numerical value of the Hebrew word emet (אמת,truth), an allusion to the 42-Letter Name of G-d that begins with Alef (א) and end with Tav (ת) and has 40 (מ) letters in between, and also to the beginning and the end with the YHVH (יהוה) in between as the letter Mem (מ) breaks down to Caf (כ) and Vav (ו) of numerical value 26. In that same prophetic paragraph, Genesis chapter 6, which some say is an allusion to the 6th millennium, we have two additional time spans, Noah’s age when he fathered his 3 sons and the 120 years that we just mentioned, for a total of 620, which is the numerical value of Keter, the highest and crowning sefira (dimension), and not coincidentally it’s the number of letters in the 10 Commandments (10 utterances connected to the 10 sefirot of the tree-of-life). Moreover, the sum of the square roots of these two numbers 500 and 120 is 33.31 as in the 3330 years from the giving of the 10 Commandments in 2448 HC to the prophesied end time of 5778 HC, 3 years from now. Whether there is meaning in this or not, 500 x 120 = 60,000 as in the 60,000 Israelites that were at Mt Sinai for each of the 10 Commandments, a total of 600,000, which as we’re recently noted has a logarithm of 5.778, just like the surface temperature of our Sun, 5778 K. Just saying. The Torah doesn’t make mistakes and neither does G-d. We’re the ones that are made of flesh. We’re the ones who have a choice to align with the alternate fallen universe of Cain, or that of Abel and the tree-of-life reality. After 2 years and 10 days from the start of the Noah’s saga with the flood until they were on dry land once again, in Genesis chapter 10, Noah’s children’s wives gave birth and we are once again presented with the chronicles or generations of their descendants without time-spans. The Torah immediately goes into the story of the Tower of Babel and the over-reaching of the people of that generation. Once that story concluded, we’re presented with an alternate reality whereby the wife of Noah’s son Shem gave birth to a son while still on the Ark, or immediately afterwards, probably within those last 10 days. Then from paragraph 33 to 42, the Torah delineates with precise time-spans the 11th through 20th generations, culminating when Abraham was born in 1948 HC, a mirror image of the founding of Israel in 1948 CE (one of many such mirroring). The Kabbalists liken the Ark to a womb and the human gestation period is 40 weeks, analogous to the 40 days/40 nights so famously phrased in the Torah. So out of that spiritual womb, removed from the confines of time and space, and all the restrictions, trappings and shortcomings of physicality was born the precursor to Abraham and eventually Moses, who you’ll recall began his life with his own journey in the sea. As an aside, the 280 day journey the fetus floats through within the womb is connected with the value of the collective 5 final letters (ךםןףץ)of the Hebrew alphabet (280), the 5 letters connected with the physical world of malchut, as opposed to the 22 supernal letters that influence it before and at the moment of conception, the moment of truth if you will. 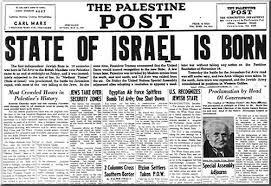 Though Israel became a nation on May 14th, 1948, it was on November 29th, 1947, that the United Nations General Assembly recommended the adoption and implementation of the Partition Plan for Mandatory Palestine, setting in motion the end of the British Mandate for Palestine and formation of the Israeli State. 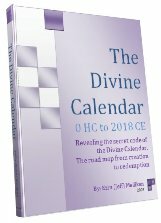 So just as we have the year 2017 CE spelled out as the square root (120.17) of the sum of the 26 individual time-spans in the Generations of Adam, we also have the year 1947 CE–exactly 70 years earlier–spelled out with the sum of the 17 individual square roots (194.72) of the given time-spans in the Generations of Shem, Noah’s son and Abraham’s Kabbalah teacher. I don’t believe this is coincidental given that Abraham was conceived in 1947 when his father was 70 and then born in 1948 HC, 70 years before G-d made the Covenant of Halves (in 2018 HC) with Abraham, promising to make his descendants into a great nation. Nevertheless, what may be coincidental is that the sum of 120.17 + 194.7 = 314…., the numerical value for the archangel Metatron and Pi. The next listing of descendants we have is not described as either generations or chronicles in the Torah, yet it lists in paragraph 57 the sons and grandsons of Abraham’s concubines. Then in paragraph 58, we have the chronicles of Ishmael without time-spans again, excepting Ishmael himself, who according to chazal repented at the end of his life, which is why we’re given his life-span, 137 years. 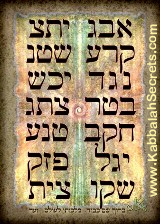 We should note that 137 is the gematria value of Kabbalah, meaning to receive, and parallel. In the very next paragraph we get the chronicles of Isaac with the time-frame for his marriage to Rebecca (age 40) and the birth (age 60) of Jacob and Esau. Then in paragraph 70, we get the chronicles of Esau without time-frames whatsoever and this goes on until in paragraph 72 when we get the list of the 8 Kings of whom we mentioned earlier. In paragraph 73, we have the chronicles of Jacob, but it gives only the age of Joseph, 17. So we have the very short dated list for Isaac and Jacob, following in the succession of Adam and Shem, and a long non-dated lists for Noah’s other sons, Abraham’s concubines, Ishmael, and Esau, mimicking what we originally saw with Cain. As it would appear, a dynamic runs through Genesis, two battling forces, one derived from the energy of Cain, and the other of Abel, which was transferred into Seth passed down to Noach and through the line of Abraham and Moses. In fact the Arizal himself tells us that Moses was an incarnation of Abel and his father-in-law, Yitro, of Cain. Two-thirds, or .666 of the way through the 50 chapters of Genesis in chapter 33, we come to the pivotal moment in the Torah when Jacob re-encounters Esau, who was out for revenge and was planning on killing him. Jacob sent gifts and messengers (angels) to Esau, but according to chazal, when they finally met and Esau ran to hug him, he was planning on biting his throat and spilling his blood, yet the outcome was a kiss. After a polite exchange they went on their separate ways. What happened? In Genesis 33:3, in the last verse before Esau ran to him, Jacob bowed down to the ground 7 times. Did Jacob too hear Abel’s blood calling to him from the ground? Did he wrestle the secret out of the dark angel the night before at the Yabok River? Somehow he knew, by connecting with the ground 7 times, Jacob awoke the memory of Cain killing Abel, the subsequent curse from the ground, and the 7 levels of punishment. What actually happened in that moment we can only speculate, but at the very least Esau became confused and time was allowed to march on, the two opposing souls, blood brothers, and their respective lineages moving on. 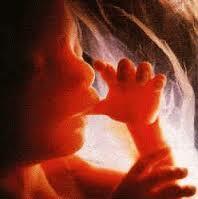 Had history repeated itself there, the Biblical story would have ended, as would have the fate of the human race. In the words of the Torah, the murder of Abel by Cain caused an “end of days.” By Esau restricting his instincts, we all were granted a reprieve. Nonetheless, the battle continues. Globally, the purest descendants of Cain strive to spill the blood of their innocent brethren wherever they come across them. Individually, we must all purge ourselves of our baser selfish Cain-like desires. While it appears to be a battle against Islam and the West, it is at its core a struggle between love and hate. The letters in the name Abel (הבל) can be permuted to for H’Lev (הלב), the heart. Hate can kill, but love will overcome. It comes down to the eights (8’s) Besides the 43 time-spans listed in the two chronicles of the righteous lineage, there are 13 other ones, 13 being the numerical value of ahava (love) for a total of 56 time segments that sum to 18,868 and whose sum of their 56 individual square roots is 888.729. Were the original Fibonacci sequence (1,1,2,3,5,…)to have continued and thus followed the primordial pattern of the universe the next numbers would have been (1,1,2,3,5,8,13…), yes 8, then 13. The Chinese will instantly recognize 888 as a most auspicious number, and readers of the Divine Calendar will recognize the pattern that all the prophetic dates in Biblical history also end in 8. It comes down to the righteous with the spirit of love raising the holy sparks out of the negative realm of the 8 Kings and the 8 generations of Cain. Meanwhile, the 729 in the 888.729 sum is the sum of the 2nd line (קרעשטן) of the Ana B’koach, the 42-letter Name of G-d that we need to combat these evil forces. One of the aspects of this line is that it spells out in sequence קרע שטן, kara satan, or tear-out satan (the source of negativity). We have the tools. We must find the will in our hearts. It was the Arizal who pointed out that the 600,000 souls at Sinai can be traced back to the 42-letter Name of G-d. When we divide 600,000 by the 70 family members of Jacob, by the 12 sons of Jacob and by the 3 Patriarchs we get precisely 1/42, that One being G-d and Unity. Were there no time-frames in Cain’s generations or their descendants chronicles because they happened before or outside of time? At the outset, we mentioned the original plan to follow the primordial contact Phi along the Fibonacci sequence of growth, but even that element outside of time has it’s markers for us. In Hebrew Chai means life and as is well-known in Judaism, the numerical value for Chai is 18, and Phi raised to the power of 18, which we could call 18 generations of Phi, Phi18, and aptly, Phi18 = 5778.000. 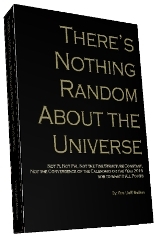 There’s Nothing Random in the Universe; G-d left nothing to chance. There were no time-frames for them because our battles with them are spiritual. True, there are devastatingly painful physical manifestations of them throughout our world and out lives, but we must fight them with our spiritual beings as well as our physical ones. Physically, we can only hold them at bay. Spiritually, we can fulfill G-d’s wish and overcome them. G-d gave us all the tools we’d need; it’s up to us to use them. for sharing one more very nice article. Previous Previous post: Is G-d Just Having Fun With Numbers, or is He Marking Time, Waiting Us Out? Next Next post: New Revelations About the Ana B’koach, the 42-Letter Name of G-d.